Today’s post is written by fellow author and sweet friend, Carole Brown. Welcome back to Historical Nibbles, Carole! A delicious Tuna Salad from The Coffee Shop in Toby’s Troubles that has a light kicky tartness (due to the dip and lemon juice), but is utterly delicious. I love writing seemingly minor details into my books that add a touch of realism and hominess. On Toby and Amy’s lunch date, Toby teases Amy with an original menu item on sale from The Coffee Shop because it is one of Amy’s favorites. 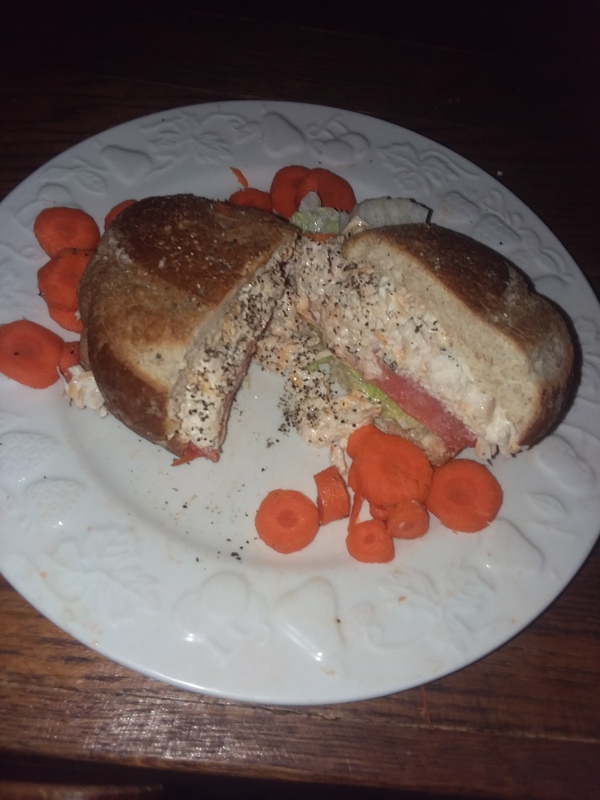 Hence, The Tuna Salad Sandwich. I like to encourage those who try this recipe to experiment with the ingredients. Start light with some of the ingredients, then add more to satisfy your taste. Or switch an item with a different, special touch you crave. Be inventive. Everyone loves Toby Gibson. 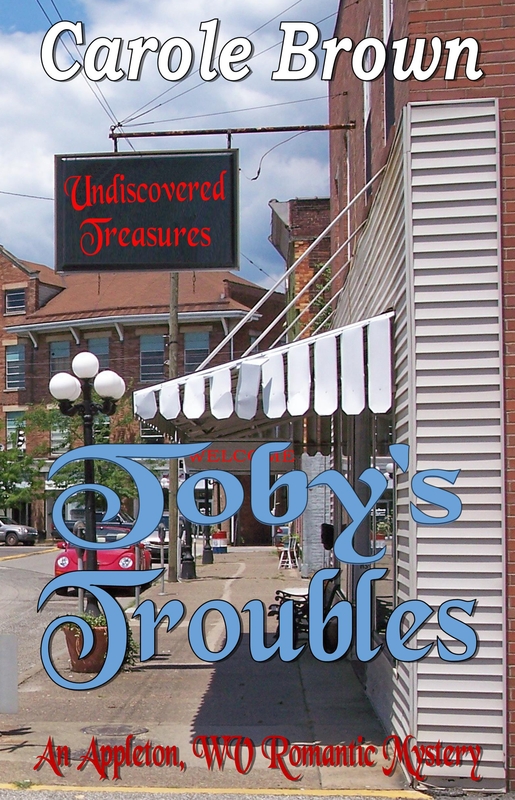 A co-owner of Undiscovered Treasures, a unique shop of antiques, collectibles and junk, Toby is friendly, generous to a fault, the director of the local plays in Appleton and supports his church’s youth functions. But the minute his sister, Caroline, and her new husband take off for their honeymoon, a “ghost” begins to haunt the shop—or maybe it’s just an intruder. If so, Toby has no idea for what the thing is looking. To add to his troubles, he suspects Amy not only is bidding for the property he’s wanted forever, but is in love with him. And he’s not interested. Amy Sanderson who owns the only flower shop in Appleton—Bloomin’ Life—is drawn into capturing Toby’s “ghost” when her own business is damaged by a destructive intruder. Having loved Toby since a teenager, she’s more than willing to join forces with him. But she has no interest in being his best friend or a sister to him. And if she has to resort to schemes of outbidding him at his frequent auction attendances to get his attention, then so be it. She can be just as stubborn as the man who’s determined to ignore her love. In between the break-ins, destruction of property, thefts and personal competitions against each other, Amy and Toby work together to find the thief who seems so determined to find a valuable item, he’ll stop at nothing. 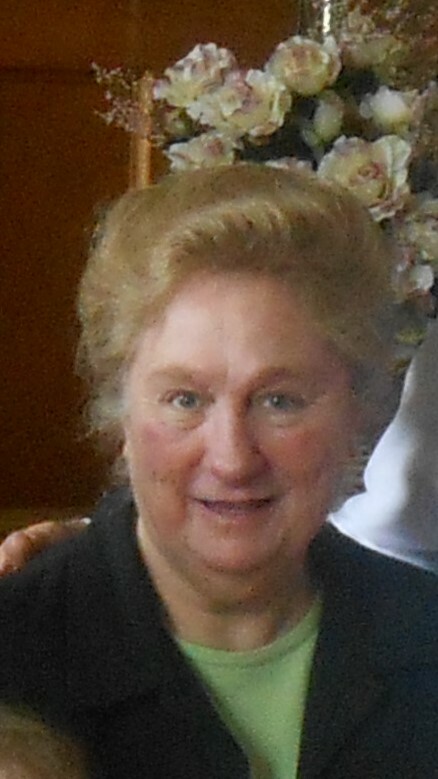 Connect with Carole on her blog and Twitter.